After days stranded in the frigid mountains, Eric Rose went on foot to look for help. 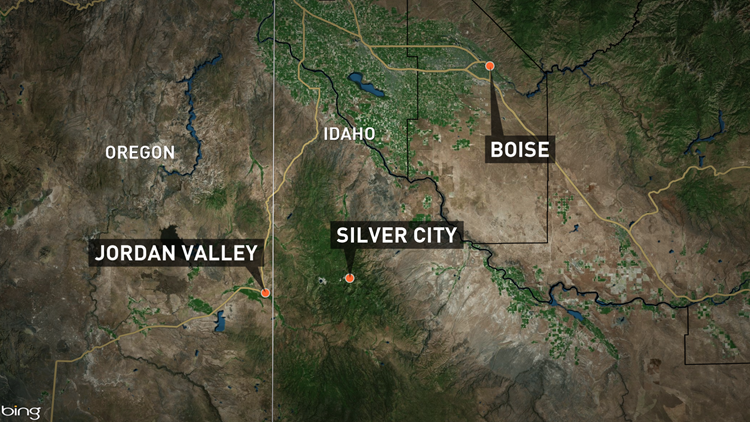 SILVER CITY, Idaho — A search is underway for a man who walked into the mountains to get help after becoming stranded with his wife and infant in a very remote part of Owyhee County more than a week ago. 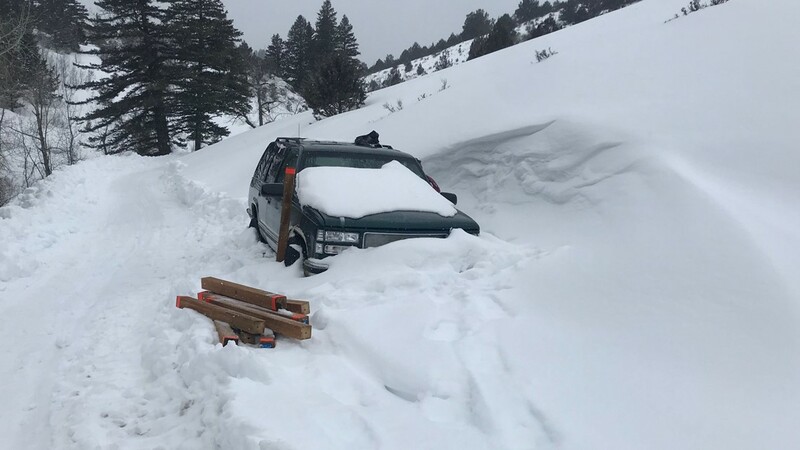 Eric Rose, 32, Francesca Watson, 29, and their 10-month old daughter got stranded after their pickup became stuck somewhere between Silver City and Jordan Valley, Oregon on Feb. 7. The couple tried to wait for help in the pickup, which eventually ran out of gas. 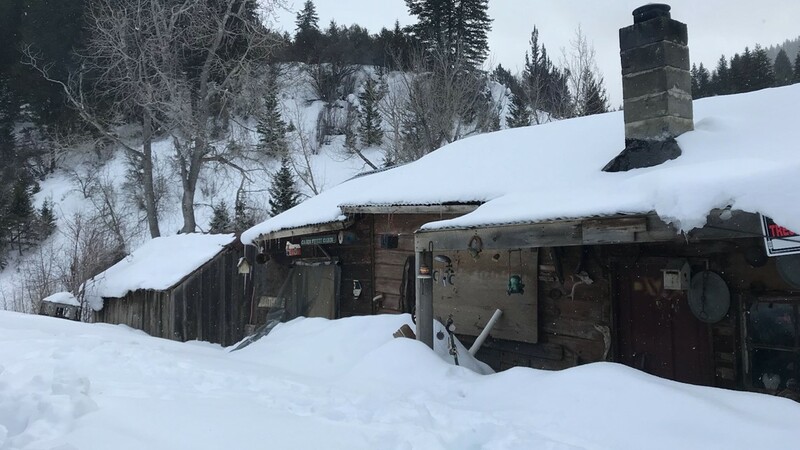 After four or five days, Rose attempted to go for help, walking out alone into the snow-covered landscape, according to the Owyhee County Sheriff's Office. "He told Rose (Francesca) he would be back in a few minutes and he never returned," Rose's cousin, Amy Jennings said. Watson and the baby stayed behind in the pickup truck for a time, before they began walking through the forest and stumbled upon a cabin. The mother broke into the cabin through a back window and fed her baby with supplies found inside. She was able to feed the baby formula by melting snow inside a pot to keep the baby healthy. Watson did sustain minor frostbite. The cabin owner says she is so thankful that they were able to make it to her cabin and use supplies inside to survive. After a couple days at the cabin, Watson decided to return to her vehicle, in hopes that she would be more visible on the road. On Feb. 15 - after more than a week stranded - a snowmobiler happened upon the truck with the pair inside. Both the mother and baby had survived the ordeal and were taken to Jordan Valley. "There have been a lot of questions and not a lot of answers and I don't think we anticipate getting any answers," Rose's sister, Sara Ontiveros said. "I think at this point we've made peace with it and we're going to be patient and wait for it." "We understand why our brother felt he had to hike out," Ontiveros said. "Once we were there we understood why he felt he had to go get help and I think that's brought us a bit of peace." Eric Rose became stranded with his wife and baby in the mountains somewhere between Silver City and Jordan Valley. Authorities learned of his disappearance and began searching after Watson and her daughter were rescued. Deputies have searched the area both on foot and on snowmobiles, while Idaho Mountain Search and Rescue teams have used dogs to do additional searches. 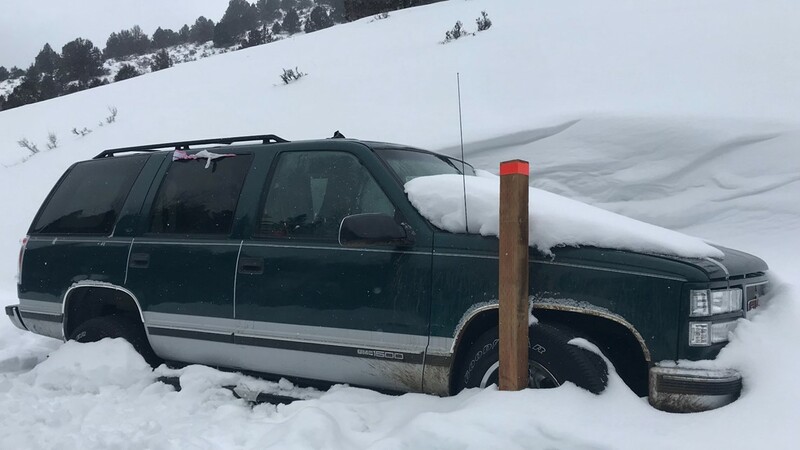 "Due to extreme conditions, Owyhee Sheriff’s Office is requesting NO additional citizens in the area to aid in the search," the sheriff's office wrote in a release. All roads to Silver City are currently closed to the public. KTVB is working to gather more information, check back for updates.